This is a good story. I have always found outlying areas like the Florida Keys to be fascinating. I know there is a long history of countercultural expression there. Key West has a long history as a gay outpost. There is more to be written on this, I think. Knowing my interest in fermented beverages and making new things, a coworker has given me fifteen or twenty pounds of smallish, hard pears, now I am trying to figure out what to make with them. Pears (and apples) are typically handled a bit differently than regular fruits when making ferments. Often one makes perry (pear cider), and I could do that, only I don’t have a cider press. I could instead make pear wine, but most of the recipes seem to need a fruit bag, which I don’t have. (A fruit bag is a fine mesh bag that brewers use to keep fruit pulp separate from the juice when making wine.) Finally, I’ve found a recipe for something called “Matched Wine.” I have no idea where the name comes from, but it fits my two governing criteria now: I won’t need a cider press or a fruit bag. I like to put on a familiar movie, playing over and over, while I write. Movies that are moderately paced with sparse dialogue are actually easier to work through than silence for me. Silence makes me twitchy, in fact. With nothing going on, I feel compelled to do something with my hands. With bits of noise, ambient sound, I often find that I can drop into the space in between (think of it like that old definition of music being the space between the notes) and concentrate on my work. Lately, perhaps because of other things going on, I’m finding concentrating at all difficult, whether with or without background sound. I suppose it’s typical for me. I am always “all in” at the beginning of a project, I bog down under the details of the middle parts, and when I have met my goal — keeping in mind that completion may not always be the goal — I am off to the next new thing. Speaking of new things, I picked up a new book this morning. I am perpetually dipping in and out of books, papers, magazines — always restless, stuffing my mind full of knowledge, striving to connect all of the dots. This morning’s choice: The Renaissance Soul, which purports to help me to understand myself and my need for many interests. It also suggests that it is quite possible for me to channel those interests into financial and personal success without sacrificing those interests or the pleasure I get out of having all of those interests. Reminds me of a line from a movie I saw recently, I think it was Now You See Me. Somewhere in there, one of the characters say the secret to being successful is, “always be the smartest guy in the room.” That’s my goal, ultimately, I think, although I like to think that I don’t pursue knowledge for arrogant reasons, but rather for its own sake. I genuinely thrive on learning, enjoy packing my brain like a computer, and strive to be able to see the connections between things. Anyway, yesterday I put in the movie, Tinker Tailor Soldier Spy and turned the volume down low. I kept it running over and over for three or four hours while I worked on a longer blog post. (It’s not finished, so we will all have to wait and see how it turns out.) Loosely, I was working through my struggles with creativity, recalling the literary influences that have shaped me, trying to understand the connections between my influences and the writer I am struggling to become. 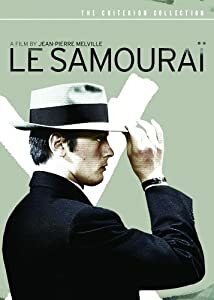 Today, writing this, I put in another perennial favorite: Le Samourai, a film by Jean-Pierre Melville. The pacing, cinematography, and sound track bear a bit of a resemblance to Tinker Tailor, although the former was a French-Italian production set and shot in the late 1960’s while Tinker was set in the early 1970’s, but shot in 2011. Not unsurprising, really. I like films like this. 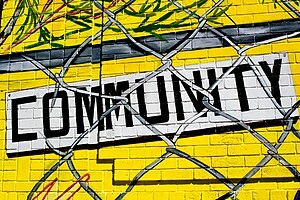 They bear repeated viewing, aren’t flashy enough to be distracting, and yet are potent and influential in their own way.